Oftentimes I watch HGTV and get tickled at the amount of people that request such large sized bedrooms. They just CANNOT live with a smaller room. The entire house could fit the rest of their needs and be in the school districts they want but if the bedroom has a small square footage, they will pass. I understand no one wants a cramped space. I also understand you want adequate room for foot traffic and drawer clearance. It’s just funny because most of the time when they go back and show how the people live after moving in, they never really utilize the space that they have. A lot of the times the bedrooms are huge and empty with a lot of dead space. If you find yourself with the pleasure of having to figure out how to design a bedroom that is sizeable, then here are ideas. Create a living room space. Yep, a living room. You have the room for it so you might as well invest in a small loveseat and coffee table area. I know most would frown upon this and I do as well (if you work from home). Otherwise, if you use the computer for leisure purposes, I don’t see a problem creating a computer space in your bedroom for web surfing, shopping, blogging and social media. Create a reading corner. 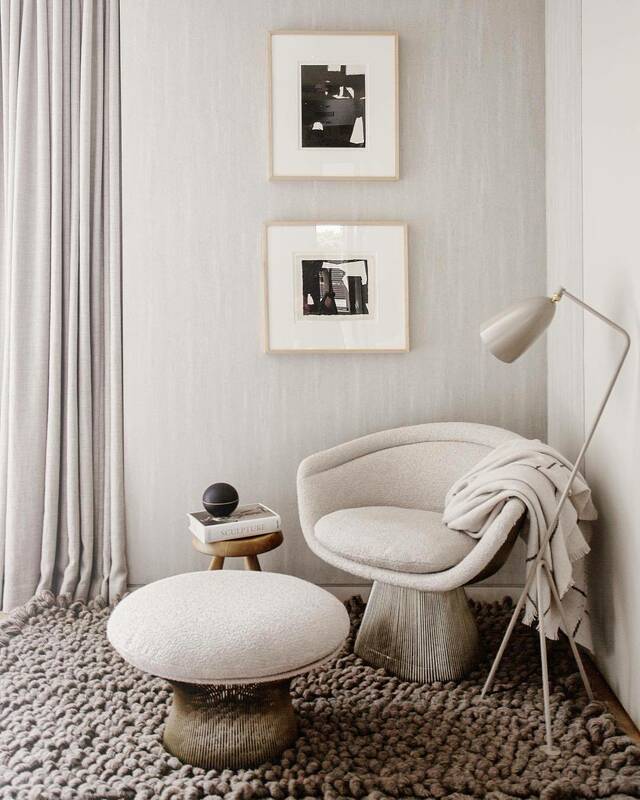 All you need is a side table, a comfy chair, an ottoman and reading lamp. Next Post Can we give a round of applause for this home?